eSAX Networking 101: Take Notes! It’s important to write down notes about the conversation after meeting someone so you can follow-up appropriately! 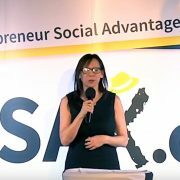 #eSAX (The Entrepreneur Social Advantage Experience is an entrepreneur networking community and tradeshow for small business to create connections, gain knowledge from featured speakers and promote regional economic collaboration among Chambers of Commerce and community/business leaders. http://esax.ca/wp-content/uploads/2016/11/eSAX-2016-logo-200.png 0 0 eSAXnetworking http://esax.ca/wp-content/uploads/2016/11/eSAX-2016-logo-200.png eSAXnetworking2018-06-29 18:23:102018-06-29 18:24:12eSAX Networking 101: Take Notes! You’ll always remember your first eSAX networking event! It’s true you know. The first time you experience an eSAX event will be something you will remember for the rest of your life. THIS is how #eSAX makes networking work! http://esax.ca/wp-content/uploads/2017/01/eSAXLogo-High-Rez.jpg 850 850 eSAXnetworking http://esax.ca/wp-content/uploads/2016/11/eSAX-2016-logo-200.png eSAXnetworking2018-06-14 21:11:172018-10-30 12:37:02You'll always remember your first eSAX networking event! As a yoga teacher (Yoga with Jas) and college educator, I’m constantly on the move. I pride myself on being able to adapt my schedule and design a class session based on my clients’ needs. The Surface Pro allowed me the freedom to do just that. I was able to research easily, and then create content based on my research just by clipping in the keyboard. As an avid user of Apple products, I was initially skeptical of how much I would like this product. I was happy to test out the Surface Pro from Microsoft, and was pleasantly surprised with how convenient, intuitive, and simple it was to use. I was able to use it to design retreat banners, presentations, full courses, and have multiple users look over it and make edits without losing the initial version. One of the features I absolutely loved was the handwriting to text function. I enjoy journaling and handwriting my thoughts, and with this function, I was able to write down my thoughts with a “pen” and have them accessible later as a document. It made leading study groups a breeze, and it made blogging so much easier! I really enjoyed creating and organizing my upcoming yoga and travel retreats through this device. It was lightweight enough for me to throw in my bag and carry it anywhere. I was able to work anywhere from a quaint little café, to out on the beach. It was important for me to have a tool that allowed me to work collaboratively with other teachers, travel agents, and suppliers. This device offered me that and so much more. If you’re so inclined, have a look at Yoga under the Tuscan Sun…This was put together using the Surface Pro! A huge thank you to Jarrod Goldsmith of eSAX – The Entrepreneur Social Advantage Experience for letting me play with this fun device for a month and giving me the opportunity to try out a Microsoft business tool that exceeded my expectations.